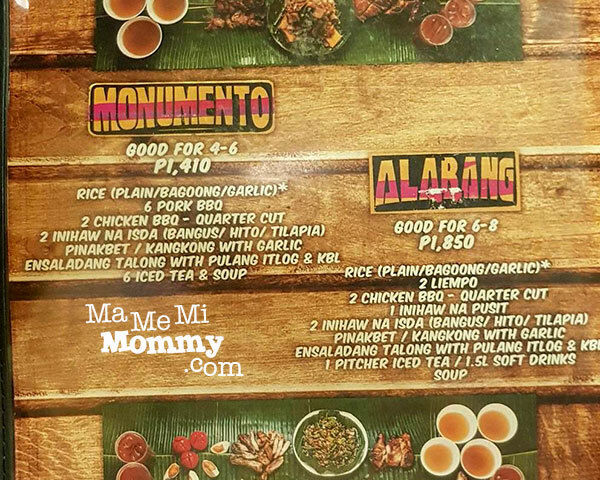 Because the kids thoroughly enjoyed our last boodle fight style of dining at Cavite, we decided to have the same experience here in the metro. 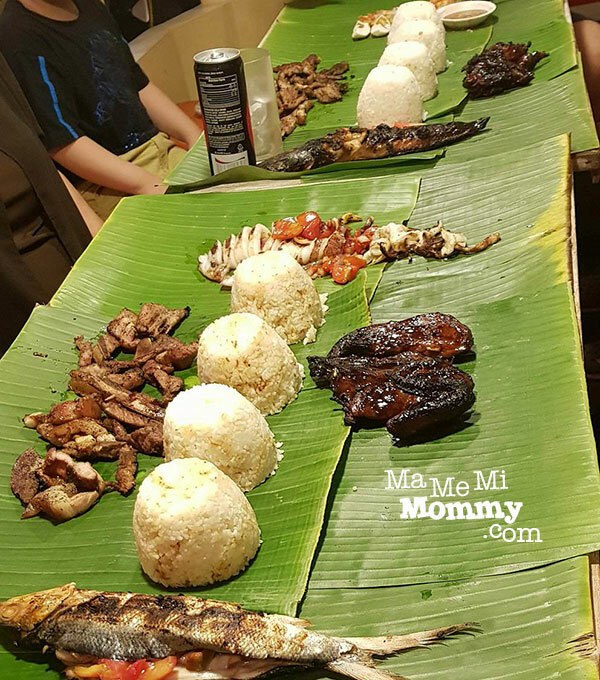 Boodle fight is the military practice of eating a meal where long tables covered with banana leaves are prepared and food is placed on top of it. People eat together with their bare hands symbolizing camaraderie, brotherhood, and equality among the soldiers. Nowadays, restaurants are also offering this style of dining. 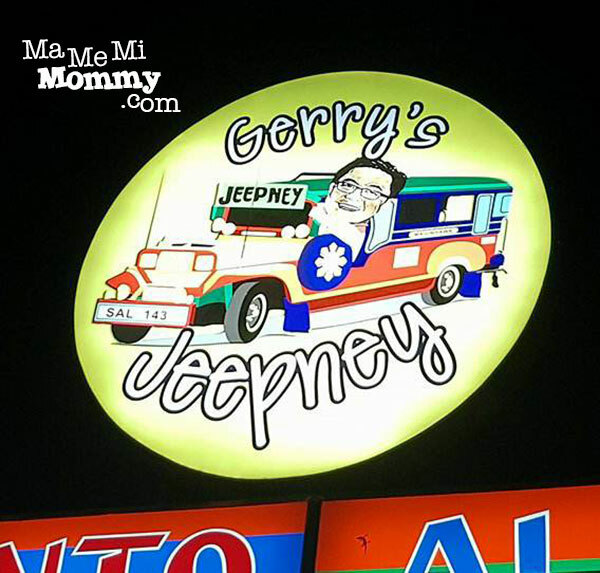 Gerry’s Jeepney in Kapitolyo is one of them. 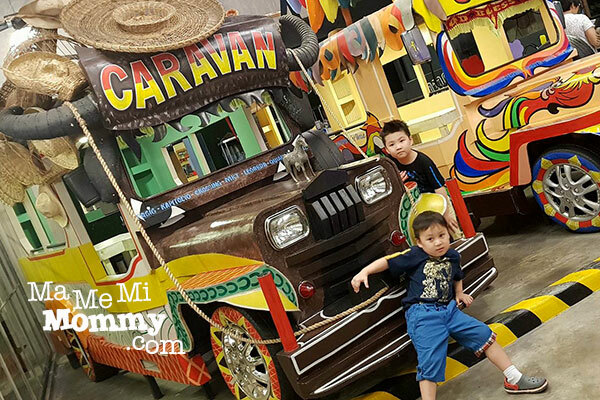 Curious about the jeepney theme, we decided to try it out. 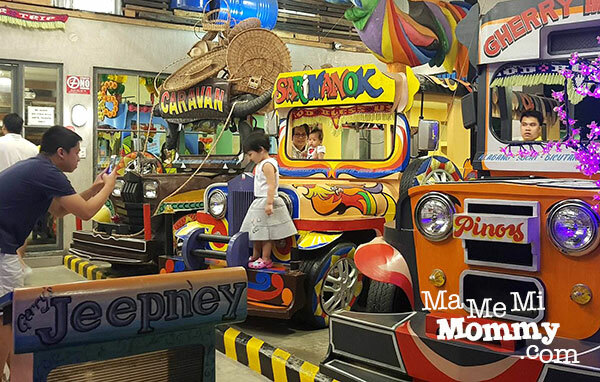 There were literally jeepneys everywhere, much to the children’s delight! The entrance was lined with jeepneys left and right. 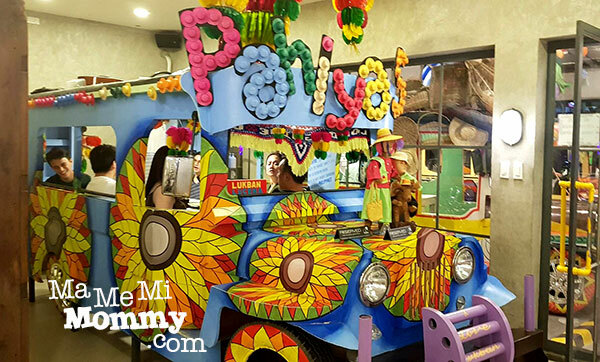 Each has its own unique and colorful design that serves as a themed dining area for the customers. The place is truly Instagram worthy and it’s no wonder you’d always see someone taking photos. 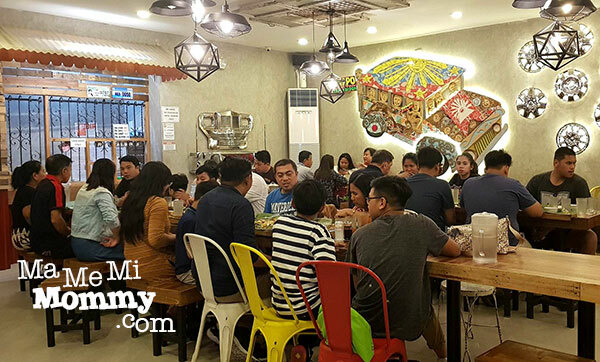 They do have an indoor airconditioned area that has the traditional table and chairs. 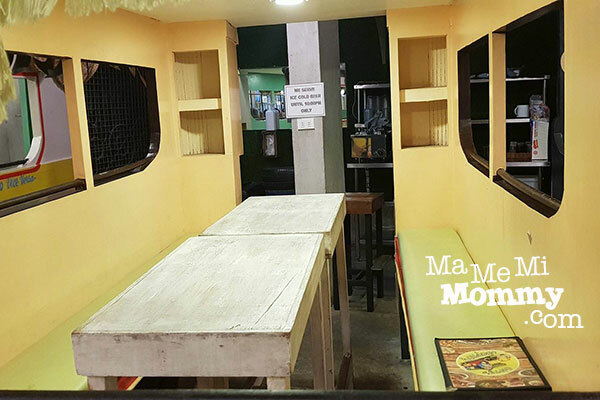 Plus one jeepney styled dining area. Whopeee! 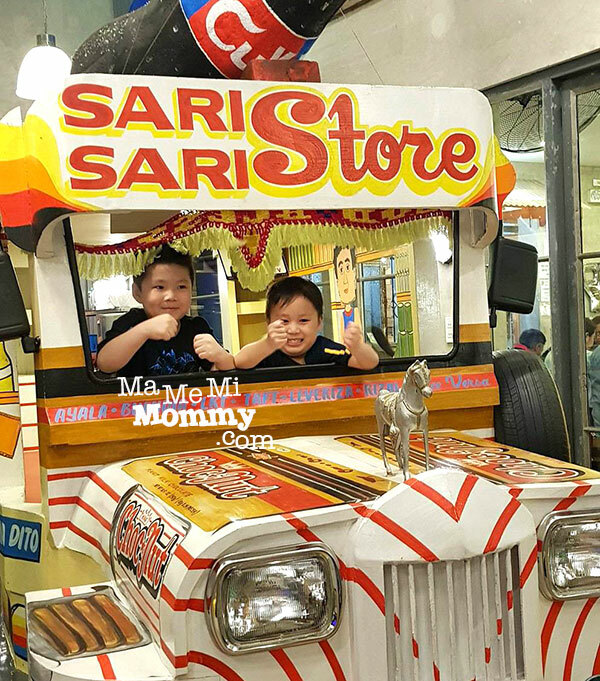 We let the kids choose their jeepney and they immediately took to “driving” it. 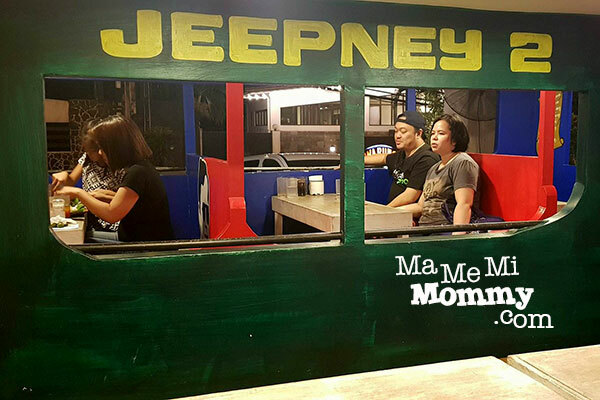 Here’s the dining area inside the jeepney. One jeep can seat about 8 people comfortably. It’s not baby friendly though as there is no provision for high chair or booster seat. Oh, and there’s also a cat roaming around, which scared the wits out of MIL. Hehe! 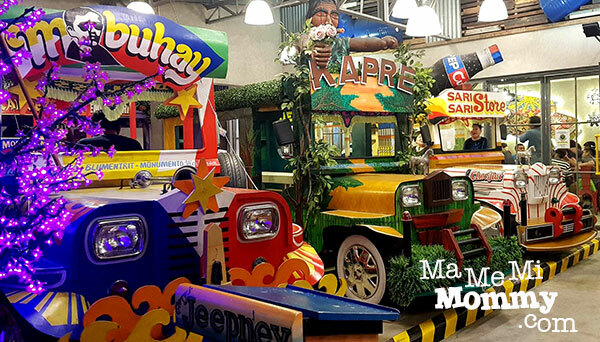 For smaller groups, they have jeepneys that have a partition in the middle. It can accommodate 4 people per section. 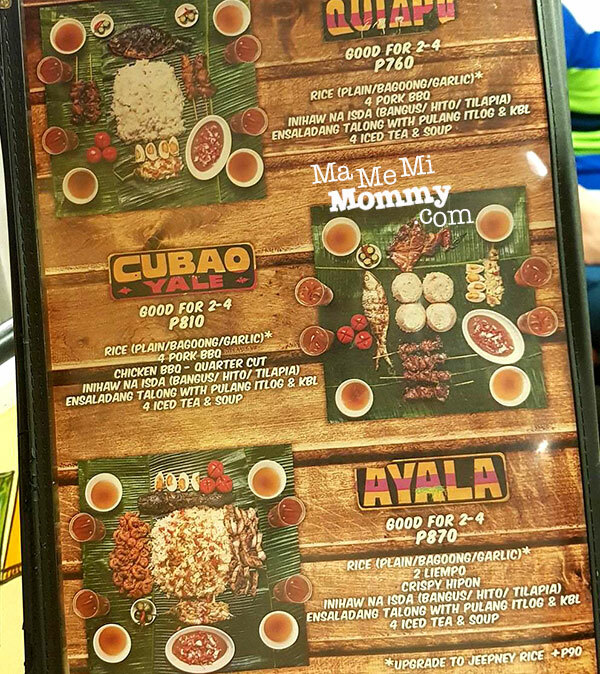 This is their menu for boodle fight. They have set menus ranging from 2 to 8 people. I love the names of their set menu groups! It really goes with the theme! We ordered the Alabang as there were 6 of us. The food portion was enough, the taste was typical of any grilled food. The kids loved the chicken BBQ! If you’re wary of using your hands to eat, you can request for cutlery but using your hands is a must-try! 🙂 They do have designated hand washing areas so no need to worry. 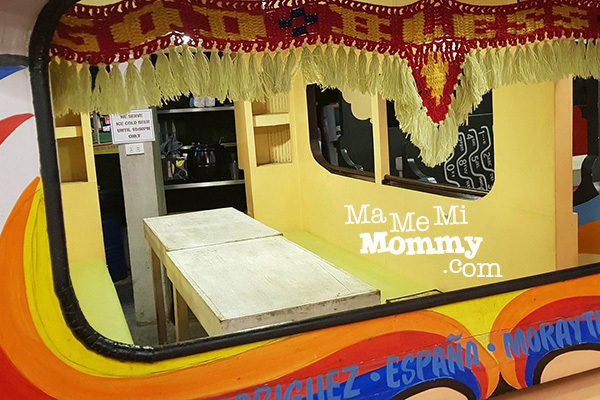 It’s truly a fun experience for the whole family, especially for the kids! 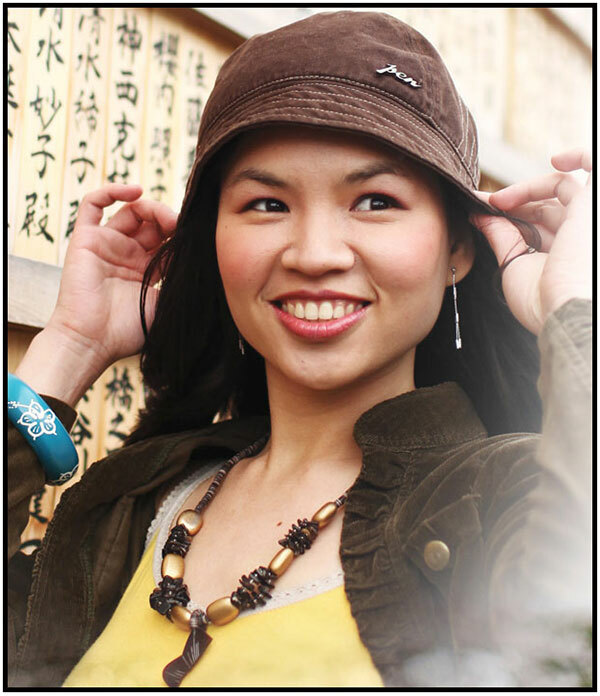 It’s also a nice place to bring your foreign visitors for them to get a taste of authentic Filipino culture.